Today’s post was co-written by Dayna Poskanzer and Shosh Bedrosian. Dayna is a Junior Integrated Marketing Communications Student with a minor in Communications Management and Design, at Ithaca College’s Roy H. Park School of Communications. She is interested in pursuing a career in marketing, advertising public relations or event management her future. Shosh Bedrosian is a junior at Ithaca College enrolled in the Roy H. Park School of Communications majoring in Television-Radio and minoring in Journalism. She aspires to be a television journalist with hopes to bring awareness to people about the world around us and telling the story of people who cannot tell their own. In order to create satisfied employees, it is important for organizations to keep employees’ needs in mind, and essential to provide work-life benefits that reflect the needs of the contemporary workforce. As illustration, the grocery store chain Wegmans has an overall mission to satisfy both the needs of their customers and their employees. 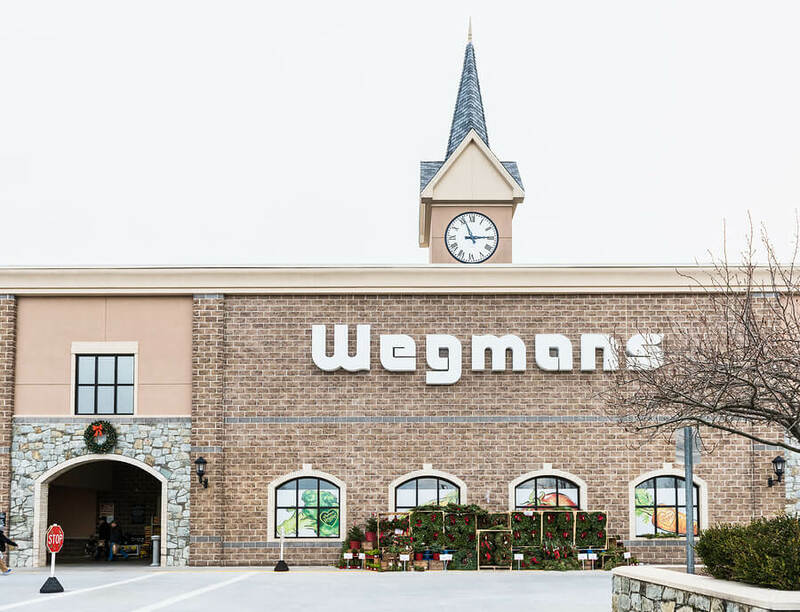 Our interest was sparked by Wegmans because of their family-friendly environment, and because the overall atmosphere is filled with content and kind employees, which made us wonder, what’s so great about this place? Wegmans has created a workplace environment that not only benefits their employees, but their customers too. Wegmans states that “To our customers and our people, we pledge continuous improvement and we make the commitment every day you get our best.” These values and core principles make Wegmans an example of a company that cares for their employees’ overall well-being. According to the Journal of International Diversity, employee empowerment is a practice which allows workers to make judgments and decisions impacting their professional work environment, while also providing a sense of ownership over work. This acknowledges potential with respect to professional capabilities and ambitions to go above and beyond base responsibilities. If implemented effectively, the empowerment approach results in satisfied and productive workers. As an example, flexible scheduling allows for work life balance, and that flexibility is one of the main reasons employees choose to work for Wegmans and continue to stay at Wegmans. At Wegmans, another motivating factor is that education is also a provided benefit for employees, in the way of up to $2,000 in scholarship funds. This system helps Wegmans by encouraging employees to use their education to work for Wegmans in a different way. In 2017, Forbes named Wegmans number two on its list of 100 Best Companies to Work For, including it on the list for the 20th consecutive year. The availability of family-supportive policies, which are defined as programs or services that help make the management of everyday family responsibilities easier, enhances the attraction to job applicants, improves employee job satisfaction and organizational commitment, and ameliorates work-family conflict and absenteeism. Effectiveness results from easing the reconciliation of tensions that pull employees in competing directions as they try to fulfill their roles as workers and as family members. As Wegmans shows, employers who follow this model can have a competitive edge. Some employers feel as if they cannot provide all of these benefits to their employees. According to a 2017 study in Australia, 74% of employers feel that flexible scheduling is too costly to implement. 56% feel flex scheduling can cause distractions to an organizations values and strategies. However, there are many resources to help companies implement change in a way that is most effective for both employers and employees. In another form of supporting flexibility, Wegmans offers health coverage, dental coverage, and pre-tax spending accounts to both part-time and full-time employees. In the United States, 4.8 million people are part-time workers, according to the Bureau of Labor Statistics. According to the article Part-time work, work-life balance and gender equality, most people in the United States have full-time jobs because part-time jobs don’t have the same benefits, like health insurance. Health insurance is expensive. The yearly average salary a person can make in New York state on a part-time job would be anything from $25,000 – $30,000. Employees on that salary would struggle to provide for a family. Wegmans currently pays 85% of healthcare costs for about 16,000 full-time employees and for part-time employees who work more than 24 hours per week. Employees who work for Wegmans feel a sense of pride and balance in their work and family life compared to employees who work for other organizations. By providing these types of benefits, Wegmans is perceived as a more attractive company to work for and enhances employee satisfaction and overall motivation. Employee benefits like flexibility, education funding, and health coverage cater to the needs of a diverse workforce and represent appreciation of employees within an organization.